For fans of the sporting bestseller, the cracking Maserati Ghibli has two new trims as part of a new strategy for the crowd pleaser. 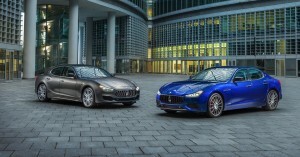 The GranLusso and GranSport trims have exclusive content and, Maserati says, distinct character and they follow in the footsteps of the trim strategy unveiled for the firm’s Quattroporte model last year. 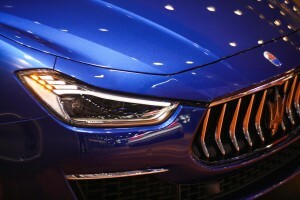 The Maserati Ghibli has been astonishingly successful around the world for four years and now the Italian sports car has undergone large-scale exterior restyling with specific details for each trim. However, the styling upgrade for the Maserati Ghibli isn’t just to make the car look prettier, the design work has improved substantially its aerodynamic efficiency, which is also down to the new bumpers. 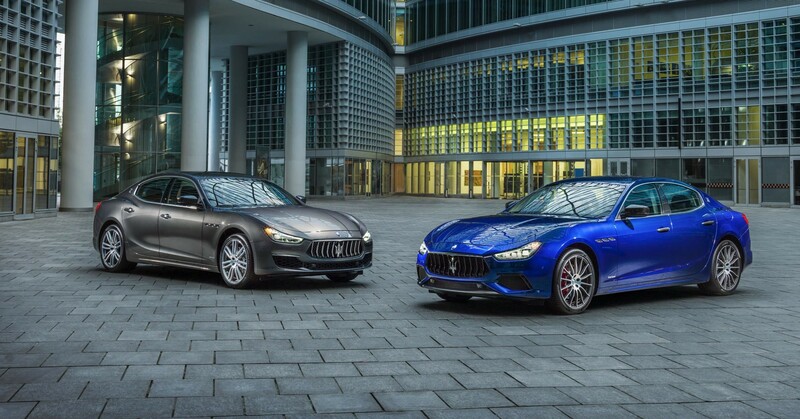 Opt for the Maserati Ghibli GrunLusso and buyers will be taking on the firm’s renowned elegance and luxury levels with an enhanced exterior finish and an interior that features silk upholstery. The GranSport has a slightly more aggressive exterior design whilst the interior features unique content. Both trims are available with four choices of engine as well as getting integrated vehicle control, so drivers can enjoy the full driving experience, and electric power steering. Under the bonnet the Maserati Ghibli features a Ferrari engine – the 3.0 litre V6 twin turbocharged unit that has 20 HP more power and 30Nm more torque than the previous engine had. For those who like speed, the Ghibli will reach 177 mph and it will sprint from 0 to 62 mph in 4.7 seconds – that’s in the versions fitted with the firm’s intelligent all-wheel drive system. Maserati says it has replaced the hydraulic steering system with electric power steering so they can install their new advanced driving assistance systems. This means drivers now get to enjoy lane keeping assist, adaptive cruise control, active blind spot assist and traffic sign recognition. The Maserati Ghibli will be unveiled at the Chengdu motor show and then be available to order; there’s no indication of prices yet or when the car will be available in showrooms. This entry was posted in Car Leasing, Cars, New Cars, Sports Car and tagged Maserati Ghibli by Steve Lumley. Bookmark the permalink.